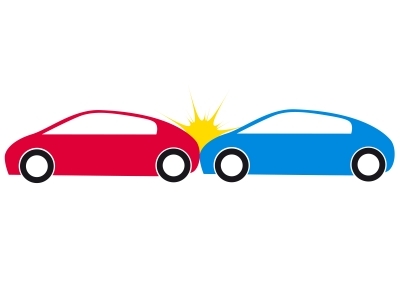 Did you know that if you hit the person in front of you even if they slam on their brakes suddenly, more then likely you are going to be at fault for the accident for riding to close also called riding their bumper and Tailgating. This could be considered aggressive driving. What you should be doing instead is driving a least one car length per 10 miles an hour. Here are some tips if your driving in frustration behind a slow driver. Stay calm and stay behind them at a safe distance until you have an opportunity to turn off to a short cut you know or to pass them safely. Use your turn signal so they can see you are about to go around them. If at night, use your turn signal and click on your high beams a couple of times so you get their attention and then proceed with caution. Here are some tips to avoid getting rear ended. Make sure your brake lights are working correctly. If your vehicle is not up to par, you may be charged if you are in an accident when someone has run into you. Check your rear view mirrors to see what is going on behind you. If you have someone riding your back bumper, pull off the road and let them pass. Use your turn signals well in advance of lane changes and turning onto side streets. Stay within the speed limit, going to slow can be just as dangerous as driving too fast and yes you can also get a ticket for driving too slow. We find insurance that meets every budget.